Necoso is a data communications company that specializes in network connectivity solutions. Necoso helps OEM manufacturers in making their products 'internet ready', so that the products can communicate over the internet or a GSM network. Often time-to-market for OEM products is essential. Necoso offers electronic network connectivity modules that allow for quick design-in into a new or existing OEM product. 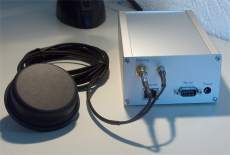 Boxed versions are also available, intended for those situations where internet connectivity is to be a 'standalone accessory' for the OEM product. Necoso also has ready-to-use protocol converters and dataloggers that can be applied with existing products for quickly realizing a network interface. If our ready-to-use products do not fit into your network connectivity puzzle, then may be we can build a custom solution for you. As off today we switched from Deutsche Bank to Rabobank. This means that our bank account number also has changed. See contacts page for detailed information about our new banking relation.